Have you ever wondered about the new Chevrolet Spark's features, specs and more?Find out below! With the help of automotive writers, Reliable Chevrolet put together some of the topChevrolet Spark reviews you'll find on the web. 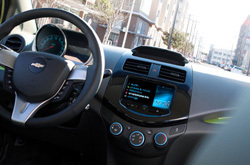 Chevrolet Spark information you can count on to make smart decisions is right here - each article is jammed with [helpful data and specs - all at your fingertips. 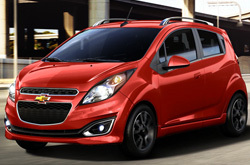 Does the Spark have what it takes to be your next Chevrolet? Continue reading and find out! Check out the 2013 Chevrolet Spark side-by-side with versus similar autos like the 2013 Scion iQ, Fiat 500 and the Smart ForTwo, and you will catch that the 2013 Spark beats out those vehicles in loads areas. See the reasons see why! Get a extensive warranty on repairs - plus access to actual Chevrolet parts and wonderful Chevrolet technicians - at your chief Springfield area Chevrolet repair center. Our Chevrolet auto service department in Springfield is home to skilled repair pros, so drive your Spark over for quality service. We handle a gamut of repairs: from more time consuming, tedious tasks like shock and strut maintenance to easy stuff like brake pad replacement and speedy oil and filter changes. Moreover, you can count on getting budget-friendly service at our Chevrolet auto repair center in Springfield. The link below is your highway to savings! Click now and you'll be transported to our coupon specials page!